In the few weeks that Local Three has been open for business, the restaurant has already garnered several awards and high praise. We could go on and on about the incredible food, the warm, inviting atmosphere, and the creative geniuses in the kitchen. . .but we will leave that to others. 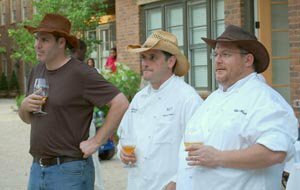 Instead we will raise a glass to those behind the bar who keep to the mission of the organization to present a product that is seasonal, fresh, comfortable, authentic, and exudes excellence. The short cocktail menu is not the most creative in town, but it does have a few traditional classics, one or two twists on classic recipes, and two nice surprises. And each cocktail is well-crafted, consistent in quality, and quite enjoyable. But we’ve learned that while the cocktails are nice, you don’t necessarily come here just for the cocktails. You come here for the bourbon. And do they have the bourbon! 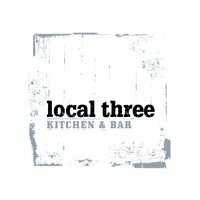 A note on Local Three and Bourbon. And now, back to the cocktails. A favorite bourbon classic on the menu is the “Old Fashioned.” This classic whiskey cocktail has been served since the 1880s at the Pendennis Club in Louisville, Kentucky. It is made up of everything a cocktail should include: a spirit, a sweet, a bitter, a sour, and water (soda). The folks at Local Three follow the tried and true recipe, and use their well brand (in this case Old Forester) or will substitute your choice of bourbon. We have had the Local Three Old Fashioned made with Old Forester, Four Roses single barrel, Bulleit, and Evan Williams. While the bourbon profile ranged from sweet and smooth, to more robust, each was perfectly crafted. Nessa and Jessamine were along for our most recent visit. Being supportive of our tasting mission, they both agreed to pick different items on the menu to sample. Nessa went for her comfort zone and ordered a “Punch Drunk” (white rhum, grapefruit juice, maraschino liqueur, and lime juice). Great choice. The bitter edge from the grapefruit and the maraschino went so well with the rhum and citrus of the lime. Not what I had expected, and I will definitely order this one again. 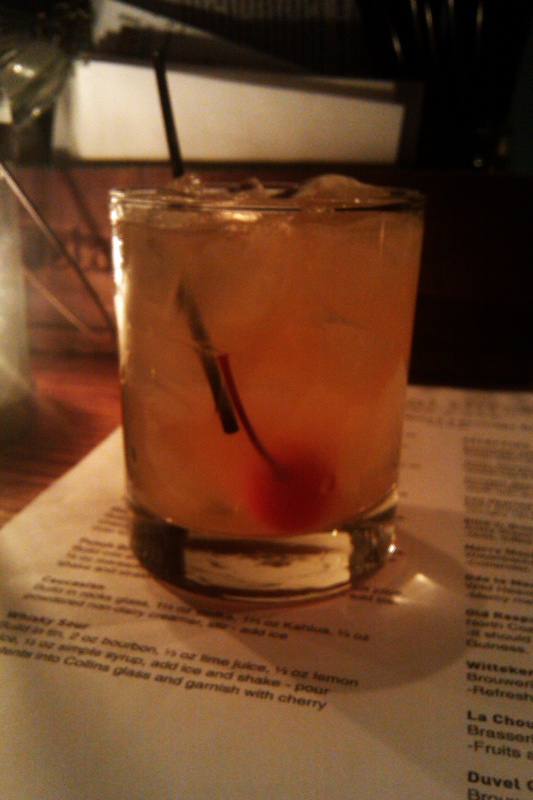 Jessamine opted for a classic “Whiskey Sour,” using Old Forester. Well played and greatly enjoyed! This once classy and elegant cocktail has taken a beating over the years with fresh ingredients being traded for sweet and sour mixes. While the Whiskey Sour at Local Three does not use the old tradition of an egg white, they do use all fresh ingredients and make it in the old school tradition. Another classic on the menu is “The Aviation.” You can’t go wrong here. Jessamine and Nessa both enjoyed this well-loved classic. Gin, lime and lemon juice, maraschino cherry liqueur. Simple. Balanced. Again, a consistently well-crafted drink. 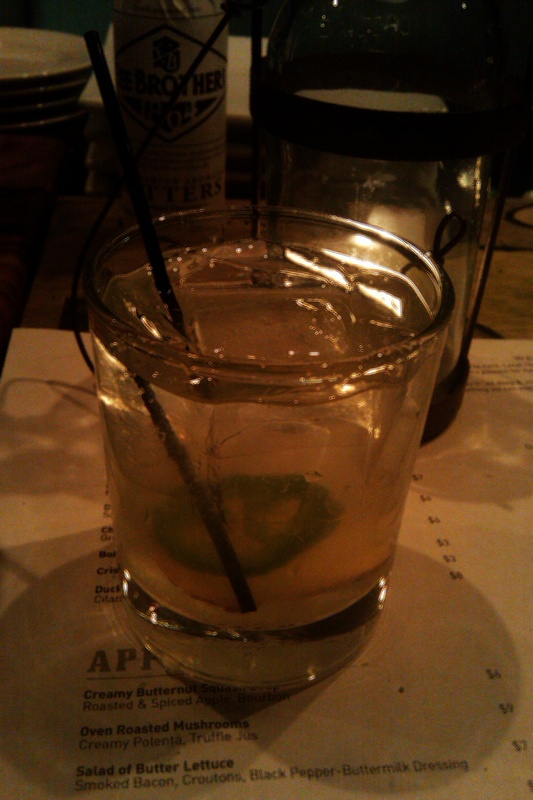 One of the highlights for me was “The Mexicali Mule.” Let me go on record that I really dislike “Moscow Mules.” Really. When I saw the Local Three take on this classic replacing vodka with tequila, I was still skeptical. The barkeep assured me with a smile that he would change my mind. He did. 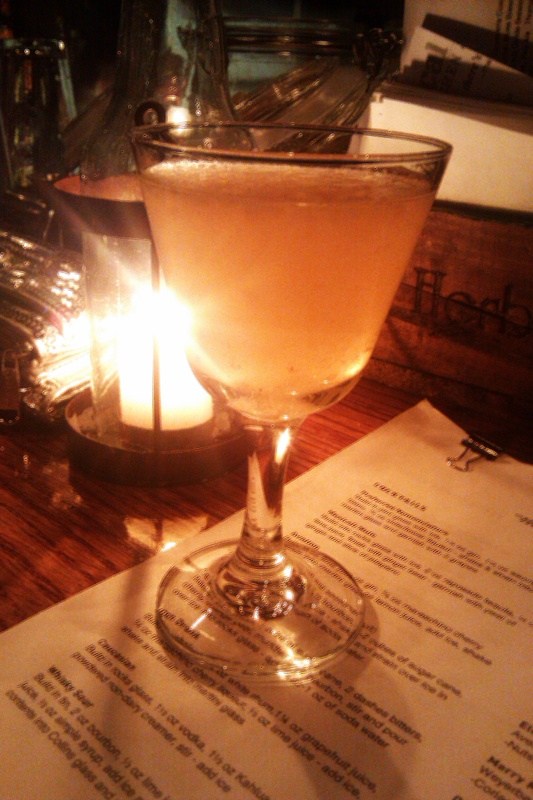 The Local Three creation blends reposado tequila, lime juice, and ginger beer. A peel of ginger and a slice of jalapeno are dropped into the drink and add a beautiful kick. This cocktail is complex, slightly biting, and lots of fun. As usual, the evening ended with a bartender’s choice. I was presented with a smooth, well-blended “Manhattan” using Ri 1 rye whiskey. Great way to end the night. 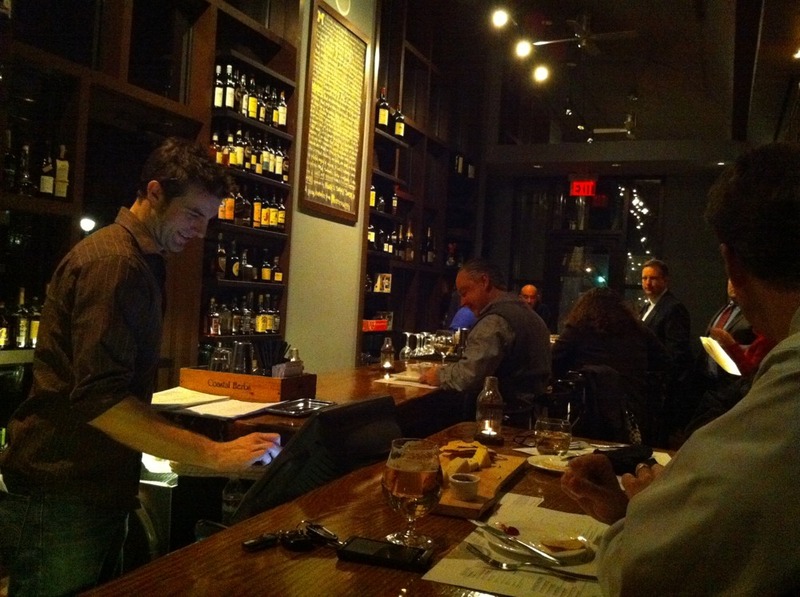 Local Three truly is a comfortably, cozy neighborhood spot. Even the 37-foot long wooded bar (crafted locally by Tracy Hartley from a fallen tree off of Mount Paran Road) is designed to encourage conversation and to put you at ease. I’ve got a feeling there will be many evenings spent at Local Three.